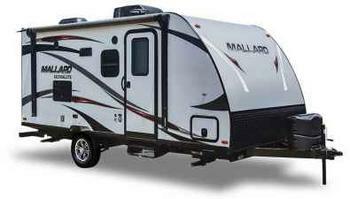 Heartland Recreational Vehicles is recalling 633 model year 2019 Heartland Mallard, Pioneer, Sundance XLT, Wilderness, North Trail, Prowler and Trail Runner travel trailers. The axles may be missing inner bearing races on the hubs, which can cause the bearing to burnout or cause the hub to overheat. Heartland will notify owners, and dealers will replace the defective hubs with new hubs or replace the axles, free of charge. The recall is expected to begin October 26, 2018. Owners may contact Heartland customer service at (877) 262-8032. Heartland's number for this recall is 99.01.40.